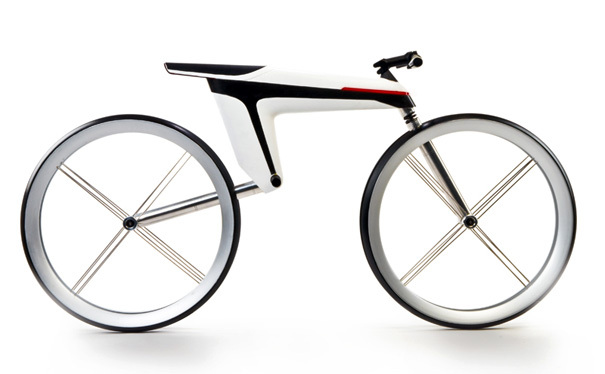 Winner of an International Forum of Design award, the HMK 561 prototype pushes the limits of bicycle design. 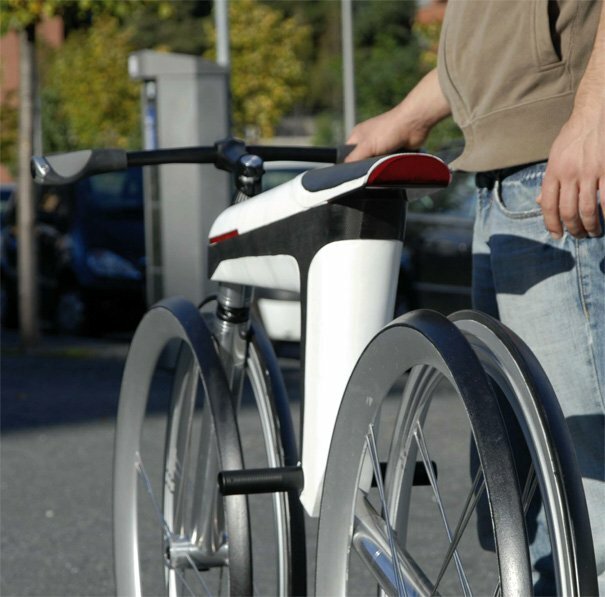 German Designer Ralf Kittmann has re-defined the function of the bicycle frame by allowing the one-piece carbon-fibre frame to distribute power from the motor without wires. Built-in to the design are also some other fantastic features such as regenerative brakes that convert the heat energy from braking into electricity and in-built lights powered by the motor. We are led to believe that the frame is covered with a variety of isolated fibres that run parallel to each other and act as capacitors storing electricity for the bike, although I have my doubts on that one. The most important aspect of this bike is its aesthetic appeal, it just screams sci-fi chic and from now on is to be referred as the Luke Skywalker. Now welcome the HMK 561's evil brother/arch nemesis, the Peugeot B1K. 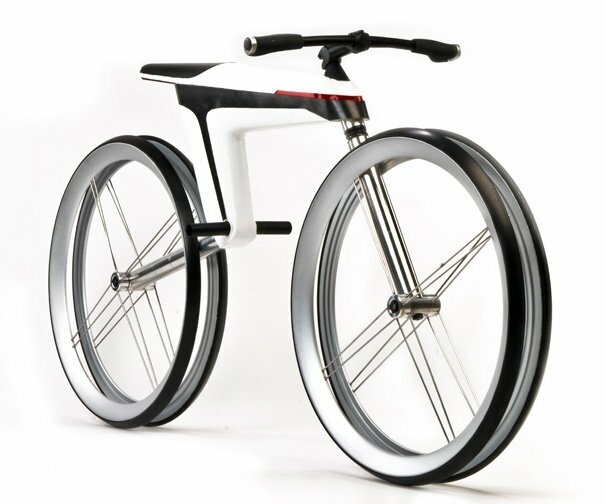 How does the chainless drive-train work, no idea. But then how does Darth Vader do that throat-grab thing?